Today we welcome Brenda Taylor to my blog. Glad to have you stop by! I like a quiet environment when I write; however, I do listen to Scottish music or folk music during the day, according to the series I’m developing. Music puts me into a writing mood. I have an office, but my favorite place to write is at a desk in my bedroom. The chair is comfortable, and I have a lap desk and computer desk with all my files close by. but William had to go out into the drenching rain to hunt down the reivers who were stealing Munro cattle and leave Aine alone, again. The loud crashing thunder with lightning strikes near the castle gave her angst. 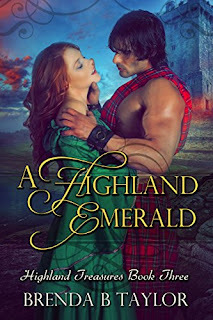 She slid from the bed, donned the fur-line robe and slippers, lit the candle on the bedside table, and made her way to the chapel to pray for her husband’s safety. Sion, her ever-present guard, rose from the doorway where he slept and followed. What book do you admire do you wish you’d written? I adore the Jane Austen books and wish I could weave a love story like she did. 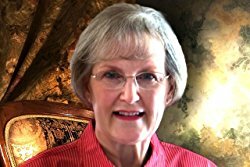 Each morning after a devotional time, I begin working and completing the daily tasks of writing, publishing, or managing an author’s business. I usually work until time to dress and cook lunch then do chores. If I have many household jobs, I stop early and work in the afternoon. 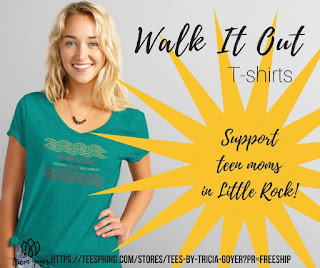 My thoughts: WALK IT OUT is a book for women who want to make a difference, but maybe they are too scared, too ashamed, or don't know where or how to start. 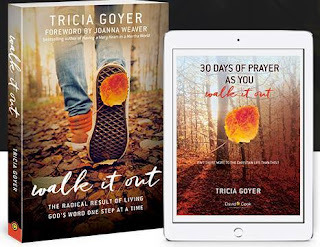 Tricia Goyer is an amazing person (I only briefly met her once and we did not connect, just more of a hi/bye thing because we know each by name) who has done some things she's ashamed of. (Haven't we all?) 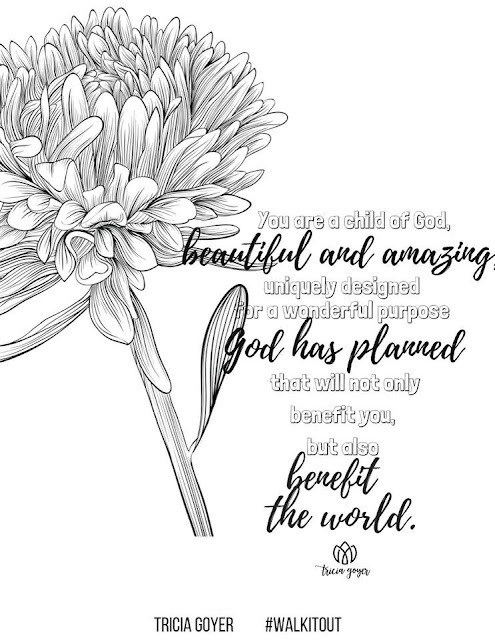 But unlike some of us, Tricia opened her heart to God's leading and He began to lead her and John down amazing paths of ministering to Teen Moms, working at pregnancy centers, mission trips, adoption, and more. She has some practical suggestions for things we all need. Creating quiet time - emptying the schedule instead of run, run, run all the time. How to help the homeless. How mission trips can change your life. 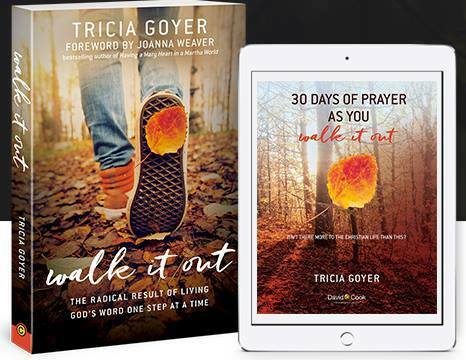 So many things happen to Tricia and she is so willing to open the doors wide and let God in to work through her how He will. I (on the other hand) am terrified. I see $200 in checking when I need $2,000 and I go into a panic. But she, and her daughter, give it to God and watch that money show up mere minutes before the deadline. I'd be an emotional wreck and not serenely confident in His ability! 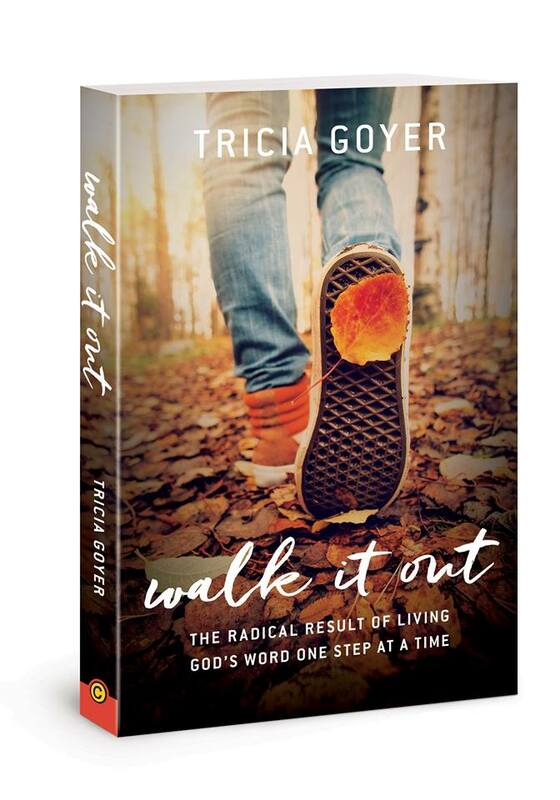 WALK IT OUT is a book for women like you. Like me. Ones who want to be used by God but aren't sure how. What was the lowest place in your life? Can you turn it into something to be used by God? 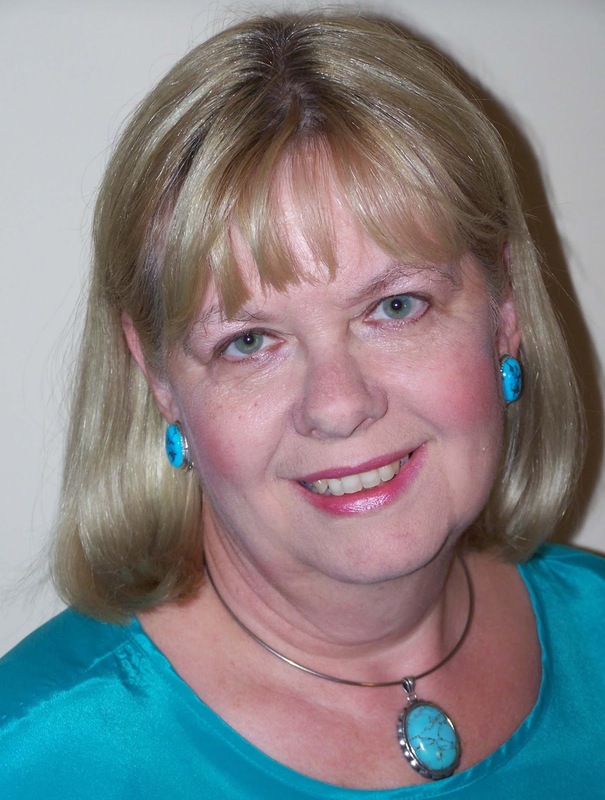 My low spots were when my mother had a stroke and I was a caregiver -- alone. 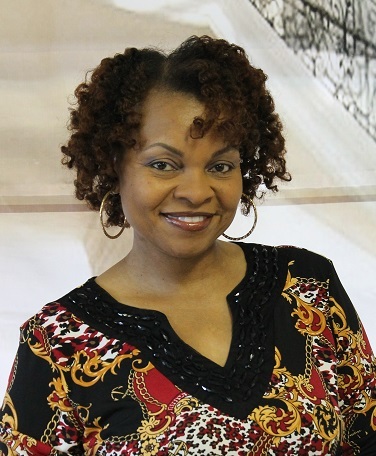 God could use me to relive other caregivers or encourage them. Or when I had breast cancer. God could call me to minister that direction. Or my son who is wrestling with problems that I'm ashamed to share. I have a few others, but I haven't thrown my doors wide open and shared my hurts with many. But maybe, thanks to God putting Tricia Goyer's Walk It Out in my hands, in time, I will. A timely book that will help many find their low-spot, passion, or gifts and use it for God. And if you are truly open, He may use a once-in-a-lifetime trip to minister for Him as He did Tricia Goyer, Robin Jones Gunn, and others. An amazing nonfiction book. Discussion questions and action plans are included. Help Tricia #WalkItOut by serving teenage mothers in Little Rock! 100% of the profits from shirt sales go to help this inner-city support group! I’d love to, and thanks for having me today. 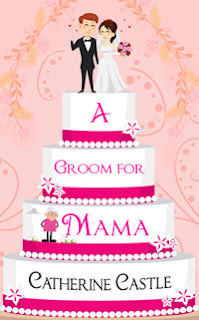 A Groom for Mama is based on a radio play my husband and I wrote years ago. Originally called “A Bride for Mama,” the main character was male and was trying to convince his dying mother he was searching for a bride (which he really wasn’t doing) so she would feel he would be taken care of when she was gone. The play finaled in the contest, but didn’t win. My husband and I set it aside, considering it an exercise in playwriting, which we were heavily into at that time. Fast forward quite a few years and I wanted a new story for another solo book as Catherine Castle. I asked my husband if he minded if I used our radio play as a basis for a romantic comedy novel, and he graciously agreed. I changed the main character to a female, made the mother the one trying to pull a fast one, added an old boyfriend to the mix, and A Groom for Mama was born. My romantic comedy, with a touch of drama, is filled with love, laughter and surprises as Mama, Allison, and the man who loves them both hunt for a groom, a cure, and the perfect date. I hope readers will love it as much as I do. Unlike my teenage years, I can’t work to music anymore. I require a more silent environment. If the story has music referenced in it, or I need music to get the setting, I’ll listen to songs before or after I write, but never during. Ooh, classic bad opening. ☺ I’d be glad to set the stage. It was a dark and stormy night … so Alice turned on the light. It didn’t work. Drat! The storm must have knocked out the electricity. She couldn’t do anything about the darkness, nor could she stop the rain or lightning. Might as well settle in for the duration. As she reached for the afghan on the back of the sofa, a crash sounded in the kitchen, freezing her mid-motion. Sliding soundlessly to the desk, she dug the revolver from the desk drawer and crept toward the noise. Some things were beyond her control . . . other things, not so much. Hmm. I can think of a couple of movies I’d love to have written—ones that I walked away from saying, “Wow! If I could have done that.” Field of Dreams and The Lake House are two of those movies. A book is a harder choice for me, but I think I would say any of Tolkien’s fantasy books, because of the complex world he created. It’s just me and the hubby now, and since we both write, there isn’t much to keep us from our computers. Having said that, I tend to write as the project demands. When I’m working on a book, it’s a tyranny of the urgent, and when the project is done, I take long breaks and do something else while I just think about the next idea. It’s an all-in, or all-out sort of thing for me, especially since I no longer have the weekly deadlines I had as a newspaper freelancer. My writing time was a lot more structured then. 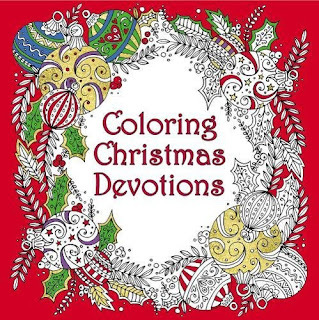 My thoughts: COLORING CHRISTMAS DEVOTIONS is a book of Christmassy devotions mixed with Bible verses and Christmassy or wintery coloring scenes to color while you reflect on the devotion or verse, or just need some quiet downtime. I can't wait to color some of these pictures. The devotions are not deep Bible studies, but they do have more meat than some. There is a Bible verse, a Christmas themed story, a tie-in to scripture, and a prayer. Will make a nice addition to your Christmas devotions collection or a wonderful gift for people who love coloring books or Christmas or devotions. Highly recommended. A great holiday gift idea. Show-time under the big top. SEAL Team Six has just taken center stage. For good or for ill, the lives of an American Journalist and the son of the Saudi royal family rested in the hands of one of the most capable Special Forces Units currently under arms. Expertly trained, incredibly equipped, this should have been a walk in the park. Of course, one can never forget the most-oft quoted proverb of the SEAL Team community: “The only good day was yesterday.” And with bad – bogus? – intel, the “walk in the park” becomes a bloody fight for survival. In the aftermath, hard questions are being asked, and no one seems to be able to provide the answers. Who was ultimately responsible for the spectacular failure of SEAL Team Six? 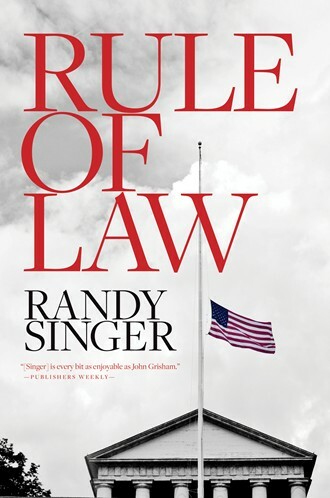 Randy Singer has written what can only be called an epic tour de force of legal and military suspense. His writing is tight, his plot lines are engaging, and the action rarely allows for the reader to take a ragged breath. My only criticism is simply this; the book is just too long! At 473 pages, and with a cast of 40 characters to keep track of (there is a CAST OF CHARACTERS at the beginning of the book), one is reminded of Abbot and Costello’s infamous radio program, WHO’S ON FIRST? Perhaps the CAST OF CHARACTERS at the front of the book should be detachable? 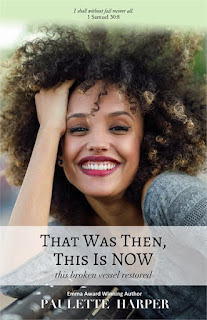 If you have the necessary patience and stamina, as well as the time and inclination, Randy Singer produces a fictional story that reads like yesterday’s headlines in terms of authenticity. Along the way, the author forces the reader to really think through what we have always naively accepted as THE RULE OF LAW. 4 stars for an excellent book that requires a lot from the reader. 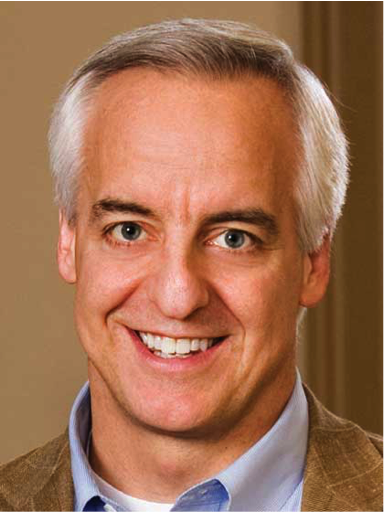 Randy Singer is a critically acclaimed, award-winning author and veteran trial attorney. He has penned more than 10 legal thrillers and was recently a finalist with John Grisham and Michael Connelly for the inaugural Harper Lee Prize for Legal Fiction sponsored by the University of Alabama School of Law and the ABA Journal. Randy runs his own law practice and has been named to Virginia Business magazine's select list of "Legal Elite" litigation attorneys. In addition to his law practice and writing, Randy serves as teaching pastor for Trinity Church in Virginia Beach, Virginia. He calls it his "Jekyll and Hyde thing"---part lawyer, part pastor. He also teaches classes in advocacy and civil litigation at Regent Law School and, through his church, is involved with ministry opportunities in India. He and his wife, Rhonda, live in Virginia Beach. They have two grown children. 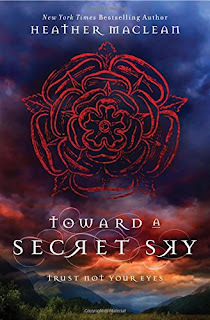 My thoughts: i am a huge fan of Gabhart's cozy mysteries, but haven't read very many of her historicals. 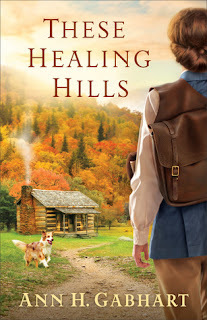 When I was offered a chance to review THESE HEALING HILLS I thought I'd give it a try. Recently my son graduated from A school for the Coast Guard and we drove through "these hills" and saw how massively huge they are. It gives new appreciation to these "pioneer" nurse midwives who traveled them on foot and on horseback to "catch babies" or see to sick women and children. The story is rather slow, easy to put down, but it was a nice peaceful read, a good escape. I identified completely with Fran, out of her element with the setting (she was a city girl) and getting used to hillbilly lingo, and traversing steep mountain trails on foot. And so many other dangers out where people are likely to shoot first and ask questions later. Ben is a sweet hero, battle worn, glad to be home, but mourning so much. he has a lot of hurts to work through and a lot on his plate with the death of his dad and his mom and siblings needing so much from him. I rooted for these characters. Granny Em was a lovely secondary character and some of the others added humor and drama as well. A great historical fiction read. 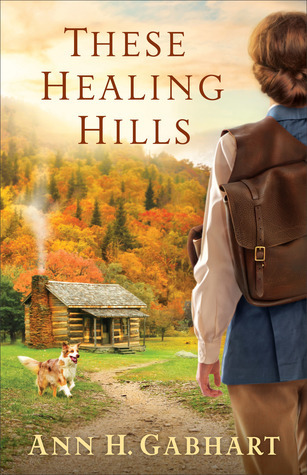 Historical fiction loves will devour this book.